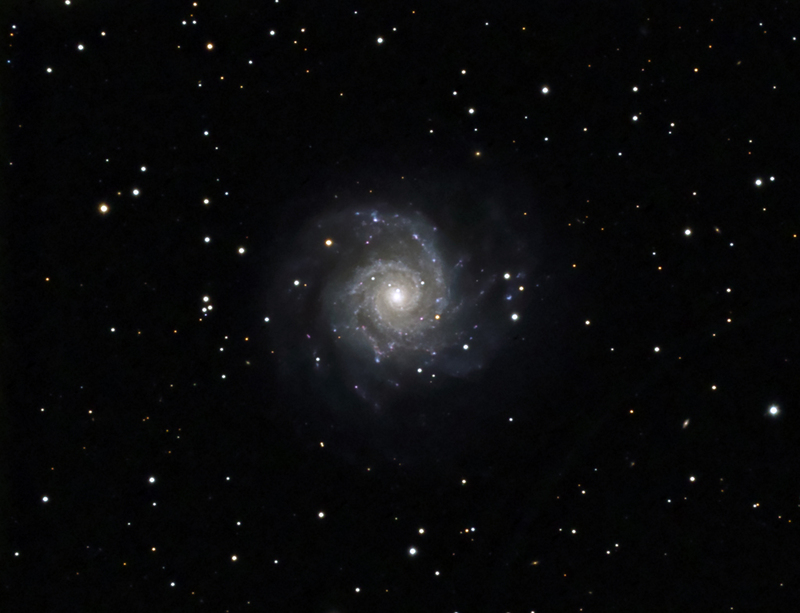 Messier 74 (also known as NGC 628) is a face-on spiral galaxy in the constellation Pisces. The galaxy contains two clearly-defined spiral arms and is therefore used as an archetypal example of a Grand Design Spiral Galaxy. The galaxy's low surface brightness makes it the most difficult Messier object for amateur astronomers to observe. However, the relatively large angular size of the galaxy and the galaxy's face-on orientation make it an ideal object for professional astronomers who want to study spiral arm structure and spiral density waves.